Some people follow the crowd. 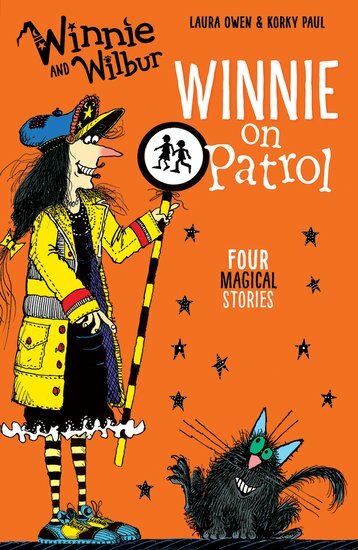 But Winnie likes leading the pack, whether she’s on patrol as a lollipop lady or racing ahead in a fun run. That’s right: she’s taking charge! But let’s not forget that where Winnie is concerned, things are bound to go wrong. So when Winnie sets off in the local charity race, her trainers turn out to have a mind of their own. Who’s in charge now, Winnie? And things get even worse when she’s bossed around by some magical furniture, and startled by a real-life zebra crossing the road!